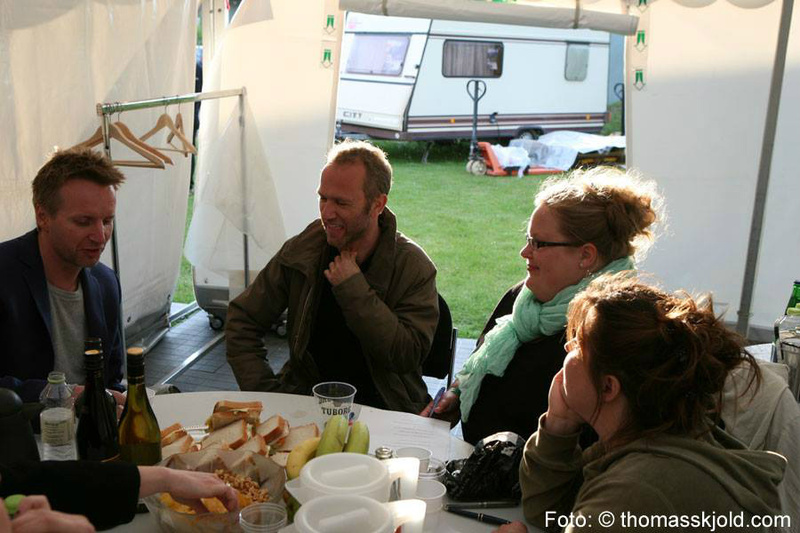 On the 25th of May 2013, we met up with Uffe and Morten to get some of your questions answered. First we asked Uffe and Morten what they had been up to these last few years? He has worked with Michael Parsberg on a project taking place at Zen, Remée´s night club in Copenhagen. He is also very involved with conducting and is a lecturer/motivational speaker. They are working on various projects, but right now it’s all about their anniversary tour, which brings with it new people like DJ Andreas Kongsted and singer Andy Roda. Morten also said that even though Safri Duo is very busy , no new album is in the works. We were curious to know about the team work with Andy Roda…. In 2001 they had a closed concert at Plesna, where they had asked Andy to join as the vocalist. They had all enjoyed the venture, and decided to extend the collaboration. At which point in time did you realize that you would dedicate you lives to music? Both Uffe and Morten have always had music in their lives, but for Morten he was between 4 and 5 years old when he knew for certain. His father John Friis was also a musician, so musicality is no stranger to Morten. This is also the case for Uffe, being the son of pianist Janne Savery. His love for classical music started in the 8.grade in elementary school, when he heard Stravinsky´s Sacre Du Printemps. Do Uffe and Morten have a favourite Safri song of their own? At the moment Morten´s favourite song is “Rise” as it describes the new episode of Safri Duo quite accurate. Uffe agrees, adding that “Played-a-Live” always will have a special place in their hearts being the hit that kicked their pop/dance career into action. Talking about the pop/dance career we asked them about what valuable lessons they have made? They both agreed, that it is very important to cut to the bone and have a clear vision of who you are and what you want to achieve and how to present yourself. Uffe added that it´s important to pitch yourself. The difference between classical music and the pop scene is that in popmusic, you really need to pitch yourself to make it – the right time at the right place, with the right song. We asked Safri Duo, which artists it has been most fun to work with? They both agreed on the collaboration with Michael McDonald. (Sweet Freedom, ed.) They also mentioned Michael Parsberg, of course and also Clark Anderson. If you were a t-shirt, what colour would you be? When people talk about Safri Duo in the future, what would Uffe and Morten like to be remembered for? Morten said, that being remembered for the brave accomplishment it was completely changing musical genre, is most important to him. Uffe added that giving percussion a voice and identity is something he would like Safri Duo to be remembered for. We asked if a live DVD will ever see the light of day? They did not rule it out completely, but it´s definitely not in production. If Uffe and Morten got a tattoo what would it be? Morten smiled and said, that he wanted to get a heart with Uffe´s name in it on his upper arm. Uffe continued joking and also wanted a heart with the text “Mein Schatz” in it. He concluded that if he ever got a tattoo it would be a symbol celebrating life. We talked about what kind of music they are listening to right now…. It is very diverse….Morten listens to Azumba (Kongsted mash-up) and Chaka Khan. Uffe listens to Stravinsky and different classical pieces. Which artists would Uffe and Morten like to work with? Uffe would like to work with Sting, which Morten quickly agreed on as something really interesting. He also mentioned Bruce Springsteen. The weirdest thing you have ever tasted? We asked if they have any time for hobbies? We dared to ask if this anniversary tour is also the last Safri Duo tour? We were glad, that Morten, without any hesitation, told us that this is NOT the last Safri Duo tour. If you could be a woman for a day, what would you do? Uffe answered that he would do his best, and also go power shopping with his daughter. Morten wanted to watch Desperate Housewives! Are there any plans to do a tour as a duo with the classical music? They told us, that they have been booked to play a classical mini concert and that it would be interesting to work with the idea of an Episode 1 and Episode 2 combo-tour. They were not quite sure, that the fans would embrace it, to which we assured them, that we will!! If Safri Duo were super-heroes which powers would you have? After longer consideration they both agreed on flying as the coolest super power. When you look back on a long career in music, what event comes to mind as the most memorable? On the 30th of September 1988 in the Conservatory, when they played their first classical concert as Safri Duo, in front of their fellow students, is the most memorable. They also mentioned The Circus Building, where they played a concert in support of The Danish Multiple Sclerosis Association. Does Safri Duo have any dreams or ambitions for the future? They do not have a specific ambition because music is a lifelong process. –But they do have a dream of balancing time for their families and working with music. Do they have any advice for upcoming and struggling artists? Morten´s advice it to keep your focus at all time. Watch X-Factor on TV but don´t participate, because there is no easy way to success. Uffe said that you have to be prepared to give it your all and that it´s important to listen to your inner voice. Which feelings would you like to give through your music? They both agreed on happiness and the joy of living. If you could travel back in time and witness an event, which would it be? Morten would like to witness The Big Bang. Uffe would like to meet Napoleon, because he lived in a time where classical music was great and pompous. He would also like to travel back to the 29th of May, 1913 to witness the first performance of Igor Stravinsky´s “The Rite of Spring” at the Théâtre des Champs-Élysées.